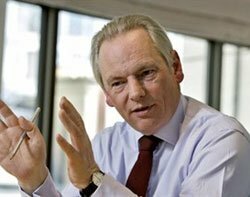 Cabinet Office minister Francis Maude has earmarked £10m for implementation of the government's Identity Assurance (IDA) programme, with the cash coming from its £650m cyber defence fund - with the potential for more near £1bn of savings if the project is a success. Cabinet Office minister Francis Maude has earmarked £10m for implementation of the government's Identity Assurance (IDA) programme, with the cash coming from its £650m cyber defence fund - with the potential to save nearly £1bn pounds of savings if the project is a success. IDA will be the means through which citizens electronically provide their personal details to access government services, as more transactions move to a "digital by default" model. The government is seeking a "market-led" model for the project, with users choosing between a range of private sector identity providers to store and transmit their details. Speaking at the Trusted Services and ID Assurance event hosted by the Technology Strategy Board, Maude said: "All of this needs resources, and we have found some. Last week I earmarked £10m from the cyber security programme." The private sector will be deeply involved to making an ID system that makes good commercial sense, said Maude. The minister was keen to reiterate the government's message that IDA would not lead to a central database of information similar to that of the canned identity card scheme under the previous government. Unlike other European governments, the UK will not be building a central database to administer the scheme. "Our approach is similar to that pursued by the US government. My understanding is that their approach is more laissez-faire than ours. We think government can and must be involved, not as Big Brother in the way associated with ID cards. But as a little brother helping, supporting and providing lubrication with funding," he said. The move to digital is an opportunity to re-engineer outdated government processes, added Maude: "We should not simply digitise clunky processes, but use this as an opportunity to force redesign from the outside in." Mike Bracken, government director of digital, is the senior responsible owner of the IDA project, having taken over from deputy government CIO Bill McCluggage in September. Also speaking at the event, Bracken said: "The new priority is user need based on user demand." Central government received 693 million phone calls last year, with 150 million estimated to have been the result of failed or incomplete transactions, said Bracken. With each phone transaction costing £6.28, a more user-centric approach to digitisation of services could lead to a cost saving of nearly £942m per year. "The prize is huge," he said. "We will need and require long-term commitment from all manner of parties to pull this off. This is early days yet, but the principles are on the money. There are some great people in government talking about ID, but they are talking about it purely in departmental terms. And they are not talking to each other. We have to put an environment in place where they understand the requirements," he added. David Rennie, IDA lead at the Cabinet Office, said the government was avoiding a single identifier approach, where a fixed piece of information is used to identify an individual. "We want to apply data minimisation so the only data passed across is the data that needs to be passed across," he said. Decentralisation will be a key means of mitigating the risk of fraud, said Rennie: "Important questions are being asked around risks of a single point of weakness and being hacked into - that is going to happen. There is no single solution. We have to live with the fact that there are people out there who gather information." The £10m allocation fund for the IDA programme will be used to put in place a dedicated central IDA programme team; the publication of a summary of all government IDA services; a plan for a single sign-on for high-volume, low-value transactional services; and joint work between Bracken's Government Digital Service (GDS), HM Revenue & Customs and the Department for Work and Pensions. More than 70 private sector organisations have been working with the government on IDA, including the Post Office, Visa, Sky, Experian, and BT. The government will provide accreditation for the eventual providers before the final contracts are signed. GDS is expected to publish a plan by January to communicate the way it intends to deliver IDA.